Thankfully, the many documentaries out there have enabled an insight for us in the makings of many our favorite style items: the publishing of Vogue magazine in The September Issue, the operations of a fashion giant in Scatter my Ashes at Bergdorf's and, almost, every week we get to watch young designers concoct sartorial items on Project Runway. So, what item's manufacturing would I like to be physically present for? Without a doubt it would be the making of an Hermès Kelly bag, the holy grail of my wish list! (No, not the Birkin) I am incredibly intrigued by the workmanship and expertise that goes behind one of the world's most pursued items. One day right?! 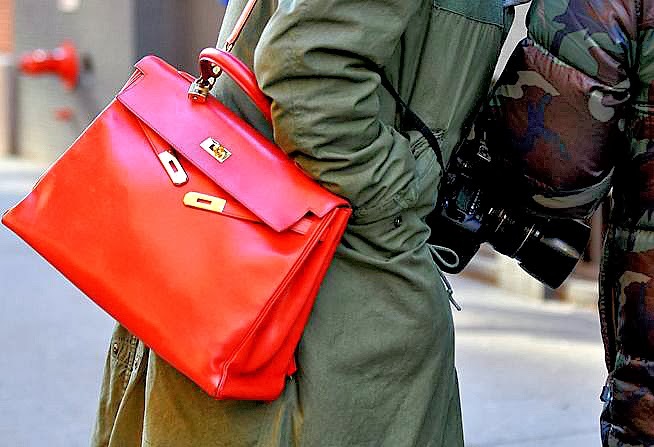 Or, perhaps, Hermès is the next fashion great to open it's doors to the documenting cameras! I would be happy with that as well. In the mean time I will settle on watching the mini film produced by New York Magazine's The Cut on the making of an Hermès Kelly bag. P.S. I encourage a read of Garance Doré's post on her Kelly, it conveys the feelings of admiration for a beautifully crafted item which differentiate from the desire to posses a status symbol.